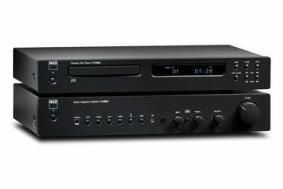 NAD cuts amp and CD player prices | What Hi-Fi? The C315BEE drops by £20 from £250 to £230, and the C515BEE falls £30 from £250 to £220. This means you can buy the two together as a system for just £450. We awarded the C515BEE five stars when we tested it, highlighting its "vivid and persuasive" stereo imaging which creates a truly startling 'widescreen presentation'. You can read the full review here. For more NAD news and reviews, follow this link.